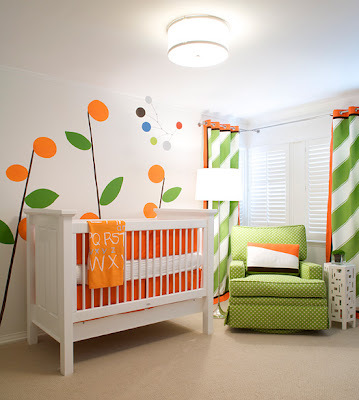 I'm working for two separate clients now who are looking for a bright and modern nursery. This one designed by Elizabeth Kimberly is wonderfully playful & crisp. I love it that she kept the walls white!